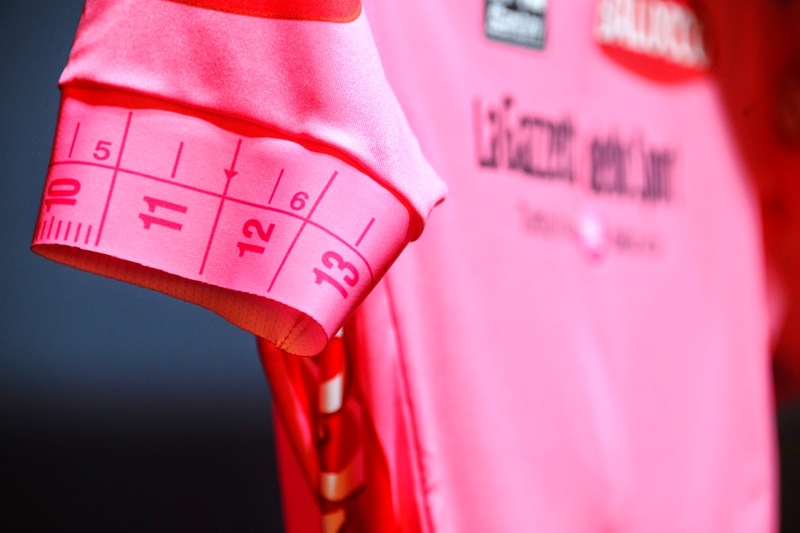 This afternoon saw the official presentation of the four 2015 Giro d’Italia classification leaders’ jerseys and this year’s Madrina of the “Corsa Rosa”. The presentation took place in fantastic scenery of Fortezza da basso in Florence, during the Pitti Uomo exhibition at the GazzaLook Lounge space. This year the jerseys have been designed by the Italian brand Lebole – an internationally renowned brand that is synonymous with menswear, elegance and Italian style – and made by Santini Maglificio Sportivo, which will celebrate its 50th anniversary this year. Cristina Chiabotto, Italian TV presenter and celebrity, has been named as the Giro d’Italia’s 2015 Madrina. Sad to see Ferrero no longer involved though we don't much like EstaThe. Balocco on the other hand is great! We switched cookie brands from the other guys when they came on board last year. W Il Giro!